When you are looking for a dentist, it’s a good idea to find a practice that offers all the services your family needs. This gives you a dental home you can count on and professionals you know and trust to provide you with exceptional oral health care. At Hagan Dentistry, we are pleased to offer a broad range of dental services for family members of all ages. Dr. Andrew Hagan has had the pleasure of treating patients in Kingsport and the surrounding areas for ten years. He enjoys serving the dental needs of our community because he believes everyone should have access to honest, affordable, quality care. His experience and warm, gentle manner will put you at ease so you can relax and feel good about seeking treatment. Dr. Hagan and our team are committed to learning everything we can about advances in dental treatments and technology. Updated technology affects virtually every area of dentistry, from digital x-rays that help us see the smallest problems to rotary endodontics that make your root canal treatment comfortable and efficient. If you haven’t been to a dental office recently, we think you’ll be pleasantly surprised at the methods we have for making your treatment easier and more productive! 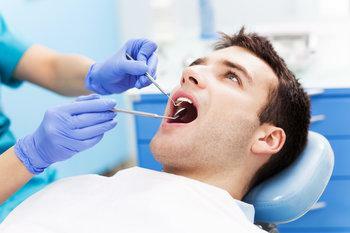 We always start with preventative care because it is the shortest route to excellent oral health. Professional exams, cleanings, and routine digital x-rays are all important for finding and treating problems before they become costly and complicated. But problems can occur, and when they do, we have the treatments needed to get your oral health back on track. Cavities are very common – the Centers for Disease Control indicate that 9 out of 10 Americans over the age of 20 have some degree of tooth decay! Using tooth-colored fillings, we can remove the decay and leave you with a healthy, beautiful smile. If dental problems go untreated for too long, you may require a restoration like a high-quality porcelain crown to restore a damaged tooth. We don’t like to think about tooth loss, but unfortunately, it happens. Dental bridges and esthetic full and partial dentures are both great tooth replacement options, and Dr. Hagan will help you decide which treatment is right for you. You may not realize it, but if you snore excessively or wake up feeling tired, you might have sleep apnea. We know this probably doesn’t seem like something a dentist can address, but Dr. Hagan can provide relief from the symptoms with a simple customized oral appliance that will help you breathe easy while you sleep. Good oral health is essential to your well-being, but your appearance is important too. We are pleased to offer cosmetic dental treatments that correct imperfections and leave you with a bright, healthy smile. Teeth whitening is the most requested cosmetic treatment because it’s easy and produces dramatic results in a short amount of time. If you have certain imperfections you would like to correct, we can recommend natural-looking porcelain veneers. Veneers can be used to alter the appearance of one tooth or several teeth, and we can usually complete the procedure in just two appointments. Are you ready to experience outstanding dental care from a team of friendly professionals who put your needs first? Please call our Kingsport dental office at (423) 239-8021 or fill out our convenient online appointment form.